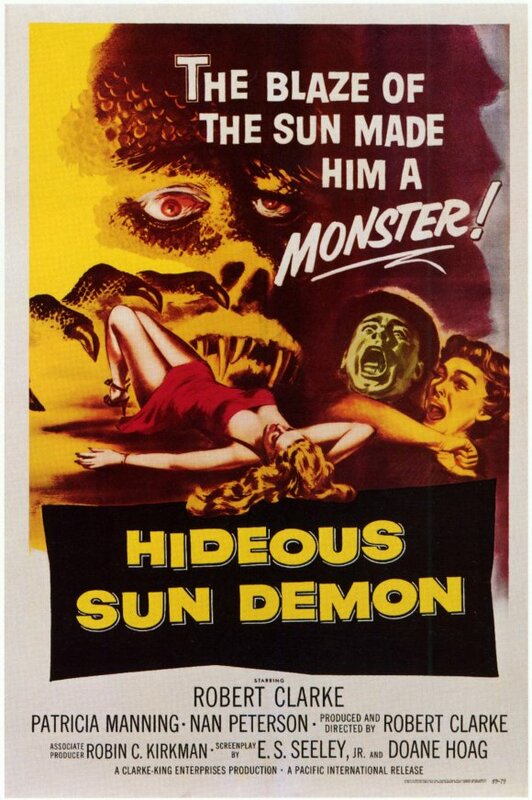 After exposure to a radioactive isotope, a scientist (Robert Clarke) turns into a scaly creature in the presence of the sun; can his colleagues (Patricia Manning and Patrick Whyte) do anything to help him, or will he turn into a murderous, rampaging monster? This low-budget sci-fi horror flick — written, directed, produced by, and starring Robert Clarke — was filmed in 12 consecutive weekends with rented equipment on a budget of $50,000. The result is a film only Z-grade aficionados will appreciate, though Clarke certainly deserves points for trying. It’s not nearly as inept as other first-time directorial efforts, but the acting and pacing are terrible, and the central premise is laughably simplistic. Clues that we’re watching a sub-par production first emerge when we hear characters discussing how Clarke became exposed to radiation; their description is quite vivid, and we wish we could actually see all this taking place! Reasonably memorable elements include Clarke dallying on the beach with a Marilyn Monroe look-alike (Nan Peterson), and interacting with a young girl (Xandra Conkling — how’s that for a name?) 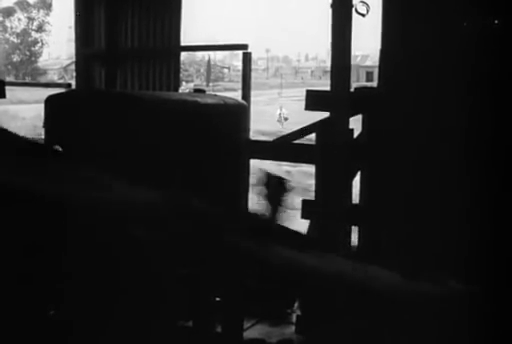 whose mother allows her to slip outside to play after a warning has just been announced on the radio; it’s yet another homage to the famous scene in Frankenstein (1931), also referenced in The Creeping Unknown (1955). Check out Wikipedia’s entry for more information about this flick’s production, reception, and comedic re-dubbing in 1983. No; this one is only must-see by true low-budget SF aficianados. Listed as a Camp Classic in the back of Peary’s book.